Ever wonder, why do we need an explosion inside an engine cylinder? The answer would be we require to cause a movement of piston in order to get rotational output from the crankshaft, but let’s just ponder if it is just about the piston movement so why do we depend on explosion? We can cause the movement with various other means which are much more efficient than combustion, now the question arises how it is done? Let’s just kill the cat. The gases enclosed inside a closed lid or area, when heated by any external mean expands and applies pressure (due to the kinetic energy attained by the gas molecules) to the walls of the enclosed area which can be used to obtain any mechanical work. Stirling engine uses 2 closed chambers (one with the heat source and other with the cooling source) inside which the gas is enclosed, the compression and expansion of the interlinked pistons of both the cylinder is caused by these cold and hot gases which in turn provide mechanical output through the connected crankshaft. 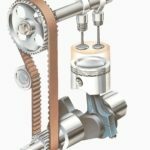 Why We Need a Stirling Engine? In internal combustion engine as we know explosion due to combustion of air-fuel mixture inside a closed cylinder causes the movement of piston which makes it a complex design and also there is no effective control over the combustion, Which is not at all the problem with stirling engine as the heat source is external which can be controlled at any instant according to the will of the driver. 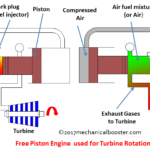 Unlike I.C engine, stirling engine provides flexibility in operation As the basic motto is to move the piston in order to rotate the crankshaft which can be achieved by any mean as the heat energy source is external. We can make the stirling engine eco-friendly (i.e. no emissions) by using renewable source of energy like electric energy as a heat energy source which is not at all possible with the IC engines. 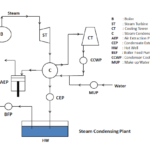 Unlike IC engine which requires special fuel for combustion, a stirling engine provides flexibility in choosing the fuel that can be renewable or non renewable as in stirling engine the heat energy is an external source. Since there is no explosion required to cause movement of piston in SE, so unlike IC engine operation of an stirling engine is a silent process, that is why it is widely used in various marine vehicles like submarine. Due to these problems with IC engine Robert Stirling introduced first practical model of stirling engine in 1816. It is the type of stirling engine in which 2 cylinders are used out of which one is the expansion cylinder or hot cylinder which is equipped with the heat source and another is the compression cylinder or cold cylinder which is having cooling device at its outer wall, these 2 cylinders are connected with a common passage through which the exchange of cold gas from the cold cylinder to the hot cylinder and hot gas from the hot cylinder to the cold cylinder takes place. Alpha stirling engine is the low power engine and is used for light load applications. It is the type of stirling engine in which a single cylinder is used which is equipped with the heat source at the one end and a cooling device at the another end. The exchange of hot and cold gas from hot end to the cold end and from cold end to the hot end is provided by the loosely fitted displacer, this displacer is connected to the crankshaft or the flywheel that controls its motion inside the cylinder. 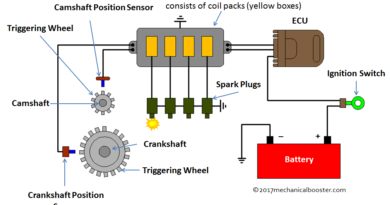 A power piston which is connected to the flywheel moves in between the hot and cold end inside the cylinder which is responsible for the power output of the engine. 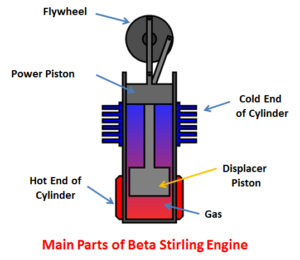 Beta stirling engine is the high power engine and is used for high load applications. There are 1 or 2 cylinders used in stirling engine depending on its type i.e. alpha stirling engine or the beta stirling engine. A cold wall cylinder- It is the cylinder that provides cooling of the gas by some external means like cooling system, in order to reuse the gas for another cycle. A hot wall cylinder- It is the cylinder through which the external heat source is connected that provides heat to the gas inside this cylinder in order to expand the gas. In beta SE engine single cylinder is used which is heated through a heating source at one end and cooled through a cooling device at another end. Both the cylinders are linked with a passage through which the gas flows from hot cylinder to the cold cylinder for re-use. It is the rigid cylindrical piston which is used inside the cylinder and is responsible for the final power output of the engine . Depending upon the type of stirling engine i.e. alpha or beta, 1 or 2 pistons are used, (for alpha stirling engine 2 piston and for beta stirling engine single piston is used). A gas which is the working fluid for the stirling engine is used inside the cylinder in such a way that the compression and expansion of this gas inside the cylinder causes to and fro movement in the pistons. 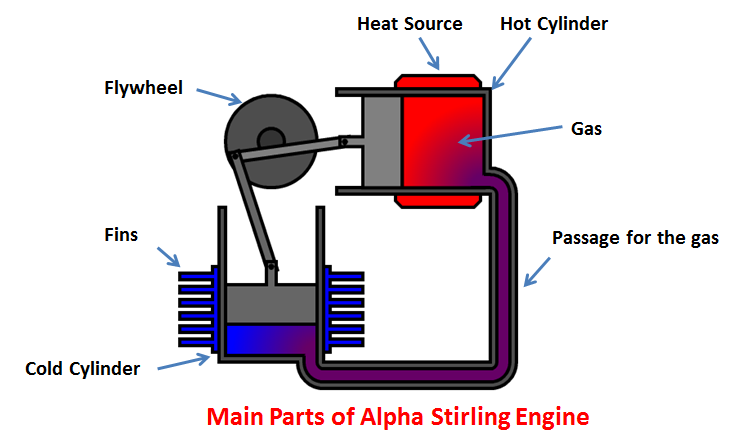 In alpha stirling engine this gas moves from the cold cylinder to the hot cylinder and from hot cylinder to the cold cylinder through the passage connecting both the cylinders. In beta stirling engine gas moves between the cold and hot ends of the cylinder with the help of a loosely fitted displacer driven by the flywheel of the engine. A external heat source (renewable or non renewable) is used for heating the wall of the hot cylinder ( Alpha S E) or the hot end of the cylinder (Beta S E) which in turn expands the gas i.e. increases potential energy of the molecules of the gas, in order to cause movement in the piston. A effective cooling system that can be water cooled or air cooled is used to cool the wall of the cold cylinder (Alpha SE) or the cold end (Beta cylinder) which in turn cools the gas inside the cylinder for re-use. It is the shaft through which the mechanical work is transferred from the piston to the flywheel. The reciprocating motion of the piston is converted into rotational motion which is the final output obtained from the flywheel. In alpha stirling engine both the pistons from the cold cylinder and from the hot cylinder are interlinked with the crankshaft through the crank pins. 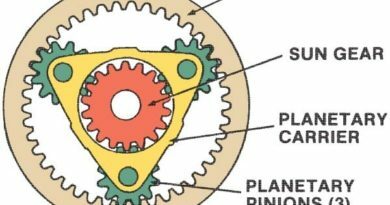 Same as the IC engine a flywheel is used at the outer part of the crankshaft to store the engine’s output for further transmission. Note – A loosely fitted displacer driven by the crankshaft is used in beta stirling engine for the transfer of the hot and cold gas from the hot end to the cold end and from cold end to the hot end. The working of both the engines i.e. alpha S E and beta S E is based on the same principle that is the expansion of the hot gas causes mechanical motion in the piston. After starting the heat source the heat is transferred from heat source to the hot cylinder walls, which in turn raises the temperature of the gas inside the hot cylinder due to which disturbance in the molecules of the gas occurs because of the kinetic energy provided by increased temperature. This disturbance increases the molecular pressure over the surface of the piston inside the hot cylinder in order to expand the gas, which in turn pushes the piston away for the expansion. When the piston moves away i.e. 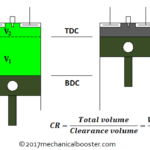 from TDC to BDC due to the expansion provided by the hot gas the crank shaft rotates which is considered to be the work output. When this hot cylinder piston moves from BDC to TDC due to which the cold cylinder piston moves from TDC to BDC, the hot piston starts pushing the hot gas into the cold cylinder for cooling. The cooling system associated with the cold cylinder instantly cools the entering hot gases from the hot cylinder. When the cold cylinder piston moves from BDC to TDC while the hot piston moves from TDC to BDC. Which in turn compressing the cold gas inside the cold cylinder due to which the cold gas moves from cold cylinder to the hot cylinder for the further cycles. When the engine is switched on the hot source equipped with the hot cylinder end starts which in turn start heating the cylinder wall due to which the gas inside the hot cylinder end also starts heating. The piston which is at hot end of cylinder moves towards the cold end due to the heating of the gas that produces molecular disturbance in the gas which in turn expands the gas. This expansion of gas causes pressure rise over the surface of the piston which in turn pushes the piston away and the power output is obtained. 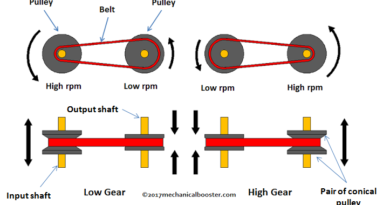 A loosely fitted displacer which is attached to the flywheel or the crankshaft move in between the hot and cold ends of the cylinder due to the movement of the crankshaft or flywheel. Due to the movement of this displacer the exchange of gas from the hot cylinder end to the cold end and from the cold end to the hot end of the cylinder takes place. The hot gas from the hot cylinder end after providing power stroke to the piston due to the expansion enters the cold cylinder end as mentioned above, cools due to the cooling provided by the cooling device fitted with the cylinder. This cooled gas is again sent to the hot cylinder end by the displacer for another cycle. So this is how the Stirling engine works and we have found that unlike I C engine there is no exhaust and also there is no loss of the working fluid which makes Stirling engine more efficient. Stirling engine was used by NASA and developed a vehicle project names MOD-I and MOD-II. It was used by various automobile companies like AMC and OPEL during 1970-80 in their concept vehicles. It is used in various marine vehicles like SAGA (Submarine Assistance Great Autonomy) the submarine in 1990s. 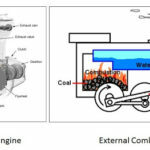 ← How Engine Cooling System Works?